To give an overview of applications power electronics, different types of power semiconductor devices, their switching characteristics. To explain power diode characteristics, types, their operation and the effects of power diodes on RL circuits. To explain the techniques for design and analysis of single phase diode rectifier circuits. To explain different power transistors, their steady state and switching characteristics and limitations. To explain different types of Thyristors, their gate characteristics and gate control requirements. To explain the design, analysis techniques, performance parameters and characteristics of controlled rectifiers, DC- DC, DC -AC converters and Voltage controllers. Introduction: Applications of Power Electronics, Types of Power Electronic Circuits, Peripheral Effects, Characteristics and Specifications of Switches. Power Diodes: Introduction, Diode Characteristics, Reverse Recovery Characteristics, Power Diode Types, Silicon Carbide Diodes, Silicon Carbide Schottky Diodes, Diode Switched RL Load, Freewheeling Diodes with Switched RL Load. Teaching Hours DC-DC Converters: Introduction, principle of step down and step up chopper with RL load, performance parameters, DC-DC converter classification. 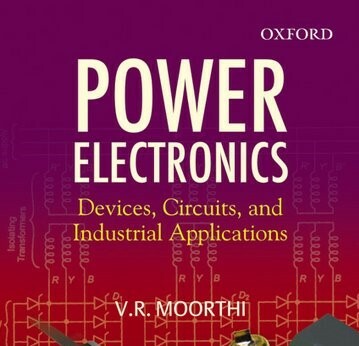 Explain application area of power electronics, types of power electronic circuits and switches their characteristics and specifications. Explain types of power diodes, their characteristics, and the effects of power diodes on RL circuits. Explain the techniques for design, operation and analysis of single phase diode rectifier circuits. Explain steady state, switching characteristics and gate control requirements of different power transistors and their limitations. Discuss different types of Thyristors, their operation, gate characteristics and gate control requirements. Explain designing, analysis techniques and characteristics of thyristor controlled rectifiers.